Raymond Davis, who was charged with killing two men in Pakistan as a CIA contractor but was later released, was arrested Saturday after a fistfight at a shopping center in Colorado, authorities said. Davis was charged with misdemeanor assault and disorderly conduct after allegedly getting into a fight over a parking space at a suburban Denver mall, according to Lt. Glenn Peitzmeier of the Douglas County Sheriff’s Office. The incident at the Highlands Ranch Town Center began as an argument between 37-year-old Davis and 50-year-old Jeff Maes and then turned physical, Peitzmeier said. Davis was released after posting $1,750 bond, Peitzmeier said. Davis’ wife, Rebecca, declined a CNN request for comment. 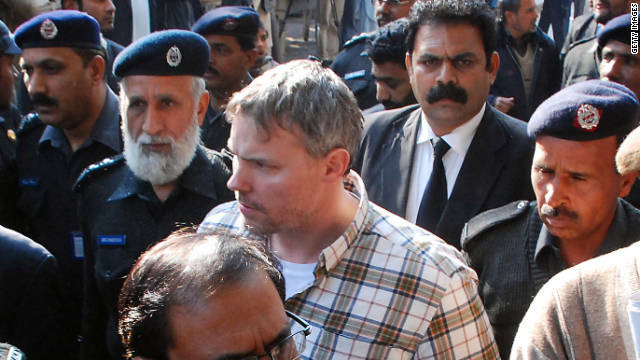 Davis was charged with killing two men in Lahore, Pakistan, in January. He was released in March after compensation was paid to their families. U.S. officials originally said Davis was a diplomat and tried to claim diplomatic immunity but then revealed that he was a CIA contractor. Pakistan’s Hypocrisy Has Run Its Course; It Needs A New Relationship With U.S. The U.S.-Pakistan relationship has long been volatile, but recent weeks have witnessed an unprecedented level of open discord between the two countries. On April 11, Lt. Gen. Ahmad Pasha, the head of Pakistan’s ISI, met with American officials and demanded that the United States sharply limit its counterterrorism efforts inside Pakistan. Just two days later the CIA launched drone strikes in Pakistan’s tribal areas, provoking angry protests from Pakistani officials. And in a sign that Washington is determined not to back down, last week Admiral Mullen, chairman of the Joint Chiefs, publicly chastised the ISI for its “longstanding relationship” with the Haqqani network, one of the prime targets of the drone campaign. No state wants its territory to be a hunting ground for covert foreign operatives. 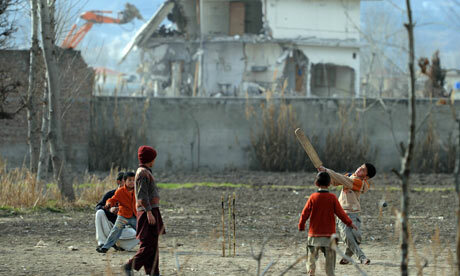 Still, the fulminations of some in Pakistan omit critical context. The Pakistani state’s ambivalent attitude towards extremist groups — acting against some while tolerating or supporting others — has forced the United States to take proactive action. The rights of sovereignty also come with duties: if Pakistan is indulgent of or incapable of acting against anti-American terrorist groups, then foreign preventive counterterrorism should be assessed more soberly by Pakistanis. To complicate matters further, elements in Pakistan’s security establishment have deliberately stoked public sentiment. Extensive leaks to the Pakistani press about the government’s demands to the United States hint at a desire to exert pressure on Washington through exploiting populist anger. For the ISI, this diplomatic crisis is a unique opportunity to obtain long desired strategic concessions from the United States. Among other things, the ISI does not want militant groups favored by Islamabad under America’s microscope — especially those perceived to defend Pakistani interests in Afghanistan. This is a dangerous strategy. It is premised on the mistaken assumption that the United States is unwilling to increase pressure on Pakistan. If the Pakistani government faces domestic political constraints, this is no less true of the United States. 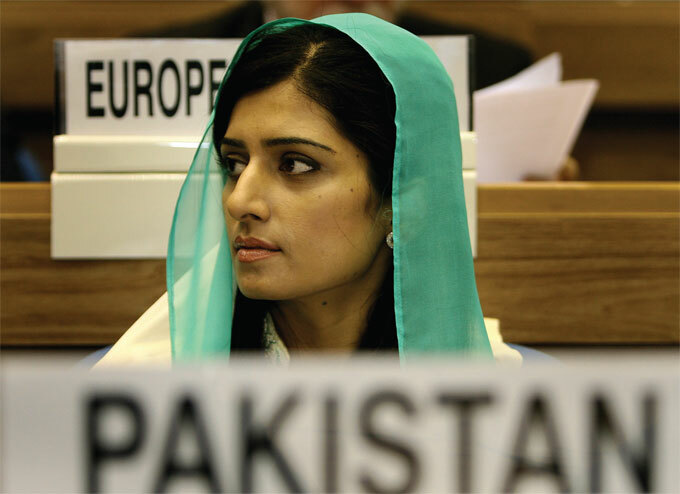 Sentiment in the U.S. Congress is already heavily tilted against Pakistan. If reports about Pakistan’s entanglement with extremist groups persist, or in the worst case scenario, an attack on the United States by a Pakistan-based terror group succeeds, Washington will find it difficult to avoid taking harsh actions. Loose talk by some Pakistani politicians about cutting off supply routes to U.S. forces in Afghanistan is similarly self-defeating. It is in Pakistan’s long-term interests to prevent an irrevocable rupture with the United States. At the same time, Washington should appraise the scope of its direct counterterrorism drive within the broader effort to stabilize Pakistan. According to U.S. officials, the drone campaign has been remarkably successful in weakening militant networks; in private, some Pakistani military and political leaders also acknowledge the program’s efficacy. That may be the case, but displays of U.S. coercive force on Pakistani soil — especially those involving U.S. personnel on the ground — have also accentuated the most extreme tendencies in that country’s public discourse. They have empowered those in Pakistan who maintain that the war on terror is America’s war, not Pakistan’s struggle, and that the United States has fundamentally hostile aims towards Pakistan. Policymakers might shrug their shoulders at conspiracy theories. That would be short-sighted. The fact is that the United States cannot directly extinguish the threat posed by Pakistan-based terrorism. U.S. forces can certainly kill a few extremists through drone strikes or ground operations. But the militant threat is geographically dispersed: not only do insurgent sanctuaries infest the isolated border regions, terrorist networks are also embedded in the heavily populated areas of the Punjabi heartland. Some of these groups have deep roots stretching back decades and enjoy local political cover. Kinetic action by a deeply unpopular foreign power will not uproot them. The single most decisive factor in disrupting Pakistani militancy will be the willingness of the state and society to commit to a long-term struggle. 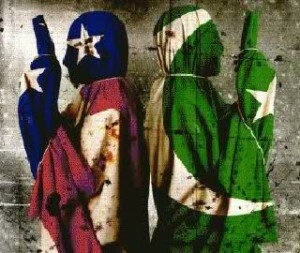 Only Pakistan can overcome the jihadi Frankenstein it has spawned through a combination of stepped up military force, political dialogue, and local governance. The impact of U.S. policies on the internal Pakistani debate about militancy should therefore be factored heavily into Washington’s policymaking calculus. Pakistan is making progress — however halting or incomplete — in adopting a more robust anti-militant posture. Since 2009, its military offensives in the tribal areas have degraded insurgent sanctuaries at a heavy price in blood and treasure. Pakistani intelligence has also helped the United States capture numerous high-level al Qaeda operatives. The Obama administration’s economic assistance to Pakistan and its diplomatic efforts to stabilize the country’s fractious politics have contributed to these advances. Going forward, the core policy challenge is to generate the political will inside Pakistan that will expand these activities. Right now, Washington’s ability to do so is vitiated by Pakistani paranoia. In the short term, Islamabad and Washington need to negotiate a new counterterrorism relationship. The old strategy of ambiguous private compromise veiled by public dissembling has run its course. Pakistan’s legitimate concerns should be weighed against the immediate threat to the American homeland and to U.S. forces in Afghanistan. This is a herculean task given the underlying strategic differences, but the alternative is likely to be much starker. Ahmed Humayun is a fellow at the Institute for Social Policy and Understanding (ISPU) and senior analyst at Georgetown University’s Emerging Threats Project. He can be reached at ahmed.a.humayun@gmail.com .